Weird things I notice while watching Videos ~ Smithankyou - Lifestyle and Travel Photo Blog. I've never been a really good student in class as I can be distracted very easily. This point can easily be proven once again. I was watching a video trailer of upcoming awesome game with the biggest clash of franchise aka milk your brand till you are dry. 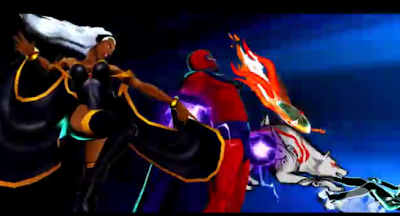 - Marvel Vs Capcom 3. Did you see what I saw ? I already see my dream team of Thor, Capt America and Ironman happening thx to the addition of Thor to the game. I think the coolest character is still Dante from DMC. "Mr.Smith, always picking up the wrong things from the right ones."